So what has changed in this upgrade? Upgrade guide will tell you. This upgrade adds Samsung module and provide functions of separate head and common breakdown repair. Now Samsung HDD could be repaired by MRT! In several recent upgrades, we will publish new modules. Until now, MRT could supports HDD brands of WD, Seagate F3, Hitachi IBM, Hitachi ARM, Samsung, Toshiha, Fujitsu and Maxtor. Almost includes all series HDDs in the markets. We believe that through upgrade, MRT’s functions will be more powerful. Maxtor module, which added in last upgrade, is strengthened in this upgrade, it supports the functions of loading LDR, repair key module and so on. According to MRT Laboratory upgrade convention, new module will provide a lower version in the first conference. The higher inner version will be published through completely tested, always the new version will be completed through 2 to 3 times upgrades. Fujitsu module solve the problem of can’t correct decryption completely in this upgrade, in the future, when Fujitsu notebook HDD has been encryption, it could deciphering in MRT easily. Seagate F3 series provide read and write ROM functions, it provides test version in former version but it supports fewer series, the upgraded program could support many series. It is meaningful for Seagate F3’s repair to read and write ROM when HDD couldn’t ready. So it is necessary to upgrade read and write ROM functions. At same time, the new added change head auxiliary tools (testing version) need to cooperate with read and write ROM functions, the usage of it is to improve the successful rate of Seagate change head. In menu “Tools-Seagate change head auxiliary tools”, you could find this function, the detail usage is in the pop-up dialog box. At present, this function is testing, please back up original ROM when you use it. 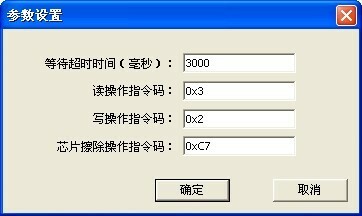 This time Seagate F3 also upgrade repair disk tools, in menu “Tools-repair disk tools”, you can find related functions. It is mainly used to repair bad sectors. In order to cooperate with repair disk functions, currency scan program module is upgraded this time, it cooperates with Seagate F3 program to repair bad sectors. Hitachi module has some upgrades this time, you can pay attention to upgrade log for details. Varies chips mainly different from read and write instruction set, so they could compatible with each other. As for chip series which programming unit couldn’t support right now, if users could search data sheet of the chip in Internet, through refer data sheet, you can know the action code of the chip’s read, write and delete orders. In this way, you should only write the new action code into set up above and then programming unit could support unknown chips. Above is upgrade guide of MRT this time. MRT laboratory will continue to try and bring better products and service for users!